Tailored to support your research, our 600,000+ item collection includes books, articles, films, maps, music, audiobooks, language resources, games, and more. Search the library catalog for any materials you need. You can also search for items at one of our partner institutions right from the Evergreen catalog! We also provide access to many different research databases to help your in your studies. In Evergreen’s Malcolm Stilson Archives and Special Collections you’ll find the history of the college, including digital copies of the original Cooper Point Journal and its predecessor, the Weakly Drag, the historical collection of Evergreen’s documents, works by authors from Evergreen, and more. We are also a member institution of the Archives West which provides access to descriptions of primary sources in the Northwestern United States, including correspondence, diaries, and photographs. Digital reproductions of primary sources are available in some cases. Make an appointment with the archivist to discuss your research needs, have items brought out from the archive, and use archival materials. Opening reception for the gallery show of botanical drawings by the students of Picturing Plants in the Library. Each quarter, examples of program work are displayed in the library. Recent featured programs include woodcarving from Studio Projects: Tradition and Innovation and illustration from Picturing Plants. The library’s permanent art displays include work by faculty, a stained-glass installation, a multilingual quilt-themed mosaic, and the magnificent 1970s-era doors from the college's original art gallery. We host a collection of teaching tools and reference materials for students in the MiT program. It includes teacher's editions of textbooks as well as innovative tools like puppets and games. It's also a great place to study. You do not need to be in the Master in Teaching program to use these resources! Go to the west end of the third floor to check it out. Also on the third floor we have a room full of children's and young adult books. Evergreen's Children’s Center occasionally displays student projects here as well. One of the many hidden treasures in the Library’s rare books room. Explore the art of the book with rare and unusual items. Named for the founding Dean of the Library, James F. Holly, this collection is focused around several formats — handmade and small press books, miniature books, and trade books that are both rare and beautiful to look at, touch, and read. In addition, we collect books with regional content and themes, including Northwest authors, Northwest history, and diverse antiquities donated by people who live in the Northwest region. View a sampling of our rare books collection here. The Rare Book Room has limited hours. Email Rare Books Room staff or call (360) 867-6127 to make an appointment. The map collection includes globes as well as oversized wall maps and USGS quads for Washington and Oregon. Audiovisual Collection: In addition to many films on VHS, DVD, CDs, and audiobooks, the library boasts an extensive record collection. More than 5,000 LPs are available for check out. Map Collection: Maps of all shapes and sizes. Explore cartography with pulldown maps, globs, marine navigation maps, and every USGS quad for Washington and Oregon. 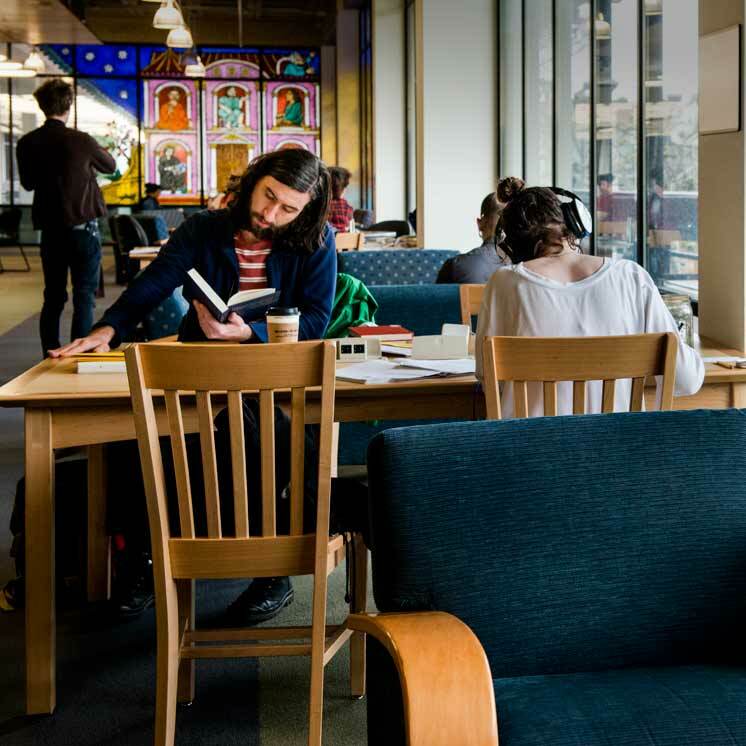 Summit: As a member of the Orbis Cascade Alliance, you have access to the physical circulating collections of 38 other academic libraries in the Pacific Northwest. Find them in our library catalog using the Evergreen + Summit search option. Current faculty, staff, and students can order a Summit book or film and have it in 3-5 business days. Saint Martin's University The library catalog for the 4-year Benedictine college in Lacey, Washington. Timberland Regional Library The local public library with branches in Lacey, Olympia, and Tumwater, plus 27 other branches spread throughout five counties in western Washington state. Washington State Law Library The catalog for the state law library located at the temple of Justice in Olympia. Washington State Library Includes the main branch in Tumwater, Washington and many smaller branches connected to state agencies. Washington Talking Book and Braille Library Circulates a wide variety of books in braille, large print, and audio formats. This policy statement describes guidelines for building the TESC Library collection which serves the College Mission of interdisciplinary teaching and learning and which supports the five foci for Evergreen Graduates. The policy outlines responsibilities and procedures for collection building and criteria for selecting materials. It is also intended to inform the short-term and long-term planning processes of the Library and the College. If you are interested in making a gift or donation to the library, please contact Ahniwa Ferrari, Associate Dean of Library Operations, at ferraria@evergreen.edu or by phone at (360) 867-6288. If you believe you have items of archival value to the college, email archives@evergreen.edu or call (360) 867-6126.